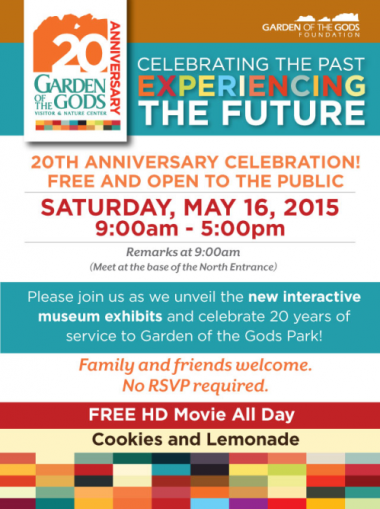 Saturday, May 16th is the Garden Of The Gods Visitor And Nature Center’s 20th anniversary celebration. Come by and see the mural I created for their new interactive museum exhibits. The hours are 9:00am to 5:00pm. No R.S.V. P. required. For more information, click the link.